Forestelly is a handwriting calligraphic font family created and published by Katie Budin. 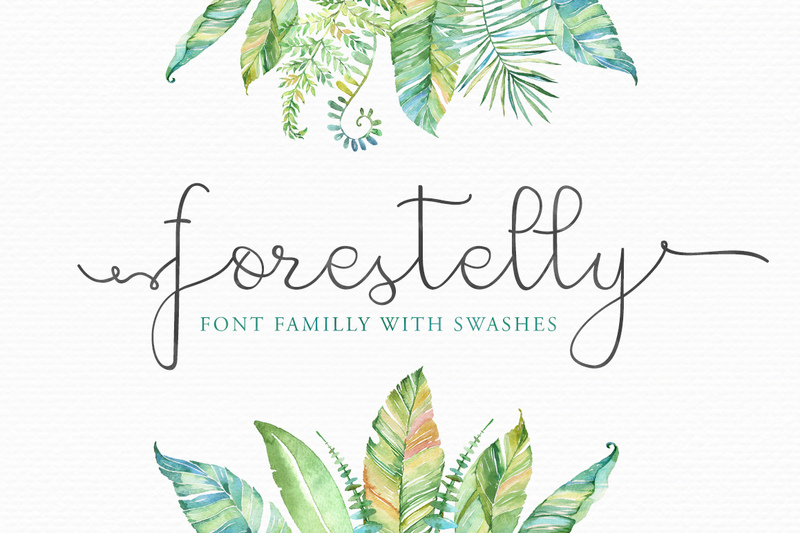 Featuring two styles, regular and bold, over 20 left + right swatches for each style and many ligatures, Forestelly has a unique pen calligraphy making it very usable for creative designs like wedding invitations, logos, envelope art, handcraft items (think of Etsy). Get original writing inspiration using Forestelly! A font description published on Thursday, August 13th, 2015 in Fonts, Katie Budin by Andrei that has 5,470 views.